Let your flock forage during the day and get natural nutrition while you also protect your garden from getting "fowled" up. The lawn will be gone; mulched beds will be bare; shallow bulbs will be uprooted; annual flowers will be massacred; perennial flowers will get beheaded; and patios, decks, chairs and benches will be “fowled” up. A brace of chickens would be thrilled with the resulting swept dirt yard punctuated by a few hardy shrubs. However, most gardeners wouldn’t be too happy. Yes, some bad insects and weed seeds will be devoured but at what cost? It took only a few days of free-ranging at the beginning of our poultry practice before my wife and I got fed up with the amount of destruction our three hens wreaked in the garden. 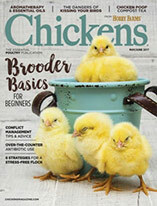 Short of building fancy little fences around every bed or patio, what does a gardener and pro-foraging chicken-keeper do? The answer is to install a simple chicken corral, a place where your hens can forage without destroying your gardens. Also, choose plantings of established shrubs and trees that are big enough to withstand chickens scratching around their roots. Their branches will also protect your hens from hawks. 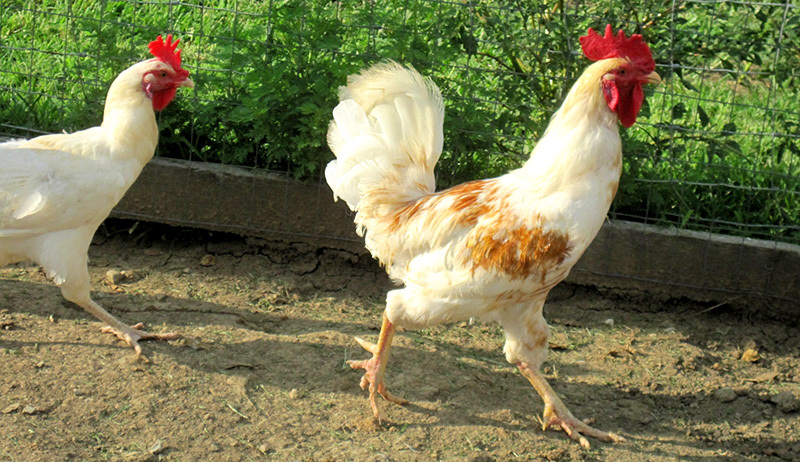 If you can corral your chickens in there during the day, the rest of your yard can thrive. That’s what we did. We sequestered our hens in a bed composed of five mature ornamental shrubs. I quickly enclosed the bushes with a corral made from a low-cost fence. We also call it a forage grove. (See map on page 18.) The chickens are now happy, and the rest of our yard has recovered. With a location selected, I needed a way to corral the birds. I wanted a secure enclosure that either looked good or was nearly invisible. I also wanted to save time and money. It sounds like a set of conflicting goals, but that sort of thing often brings out the best design solution. Because a 4-foot chain-link fence already encloses our yard, I didn’t need something strong enough to keep stray dogs out. I just needed something stable enough to keep the hens in during the day. A conventional fence with a gate and posts would look nice but would be expensive and time-consuming to build. A prefabricated electric fence wasn’t in the budget either. I ended up using a couple of rolls of 3-by-50-foot welded wire, 14-gauge fencing that’s coated with black vinyl. It’s long-lasting but inexpensive: It cost less than a $1 per linear foot. The black coating reflects very little light, so the fence doesn’t catch your eye. This 14-gauge fencing has 2-by-4-inch openings (the same gauge of fence as I recommend for the chicken run). In the open, chickens can fly over a fence only 3 feet high, but by running the fencing along the outer branches of the shrubs, I created a “no fly-zone” along the top of the fencing. The shrubs’ branches also keep predatory hawks at bay. At that height, I could also just step over the fence on the rare occasions I needed to get inside. Using a few designer tips, I installed this fence in a couple of hours without posts or a gate. With the fence still rolled up, I used a metal-cutting blade on a circular saw to remove the lowest strand of horizontal wire. (You can also cut the lower strand off with needle-nose pliers as you make the fence.) This exposes prongs at the bottom edge of the fence. When you begin installation, these bottom prongs can be pressed straight into moist soil. (Dry soil will be hard as concrete.) That’s what holds the fence up. It also makes the fence 4 inches shorter and easier to step over. With the bottom strand removed, I then rolled the fence out on the ground a bit. It’s springy, so I kept it from rolling back up with a bucket of tools, but anything heavy will do. Using pliers, I cut the fence into manageable panels about 4 feet long. Cutting to that length also made it easier to accommodate the slope as it rose or fell. Cutting this way left one side of each panel with exposed prongs. These side prongs can wrap around the smooth side of the adjacent panel to stiffen the fence and preclude escapes. Before installing the panels, every 12 by 18 inches I used pliers to snip out a couple of strands near the bottom of the fence, bending them up and out of the way. This made an opening in which to insert my foot so I could better press the bottom prongs into the ground. Not every prong will go straight into the ground. But if enough do, each panel will stand on its own. With the corral completed, it was then a matter of figuring out how to get the hens from their run to this idyllic forage grove. I didn’t want to carry the chickens from run to corral. I want them to carry themselves: more exercise for them, less hassle for me. But the chicken corral was about 25 feet away from the run’s gate, yet the corral was less than 6 feet away from the closest point on the run. The solution was to install a chicken-size tunnel between the corral and the run. This sort of contraption is called a “chunnel”, short for chicken tunnel. 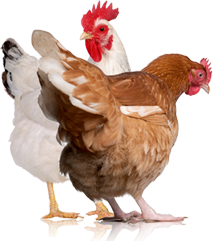 Do a web search for “chunnels for chickens,” and you’ll see lots of images for this valuable innovation. Chunnels can be made from these same 4-foot-wide panels of fencing bent over like a hoop. They make a chunnel that’s about 16 inches high and 16 inches wide. By trimming the side of the fence wire, exposed prongs on both edges can be pressed into moist soil to hold the chunnel in place. By linking the run to the corral with a chunnel, the birds can come and go, and the chunnel is low enough that we can step over it to get to the rest of the yard. Plus, we can move the chunnel aside temporarily so a wheelbarrow can get through. With the chunnel in place, we folded its end prongs to connect it to the corral fence. Using pliers, I cut out the semicircle of fencing defined by the chunnel to create a chicken-size opening into the corral. Where the chunnel meets the run, I made a similar size predator-proof miniature gate with hinges and a latch. To open and close that gate, I simply move the chunnel aside. The prongs don’t have to penetrate the soil along its whole length; the chickens don’t try to scooch under the chunnel. 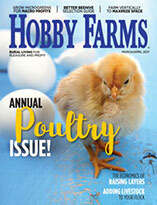 This column is adapted from Frank Hyman’s upcoming book, Hentopia: Create a Hassle-Free Habitat for Happy Chickens: 21 Innovative Projects.